Bar environmental concept basic tutorial. Here is another easy background or scene design that we all familiar with, a bar. Like I previously said before, this year we are going to focus heavily on the architectural aspect of design and dealing with tons of perspective problem to solve. We are just going easy for now since it is just a very beginning stage of study so my tutorial will be very basic for now. The reason I pick current environmental design it is because we know what it looks like, very good for study since we do not yet have to deal with unfamiliar props or objects. Well, I’ve seen many fancy and spectacular environmental concept from many of my colleagues and friends. I know that I cannot just go from zero to be a hero like what they have achieved. I have to go from basic fundamental and easy concept first like walking up the stair. Hopefully, the more we practice, the better we become and eventually we will be good at it. Here is a basic bar environmental concept painting. 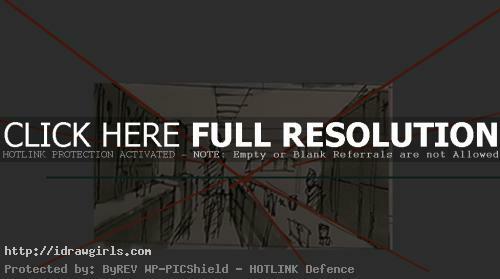 Rough idea of the bar using very rough one point perspective. The vanishing point is somewhat right in the middle. From composition point of view, not so good. But for practical studying, it is sufficient enough. 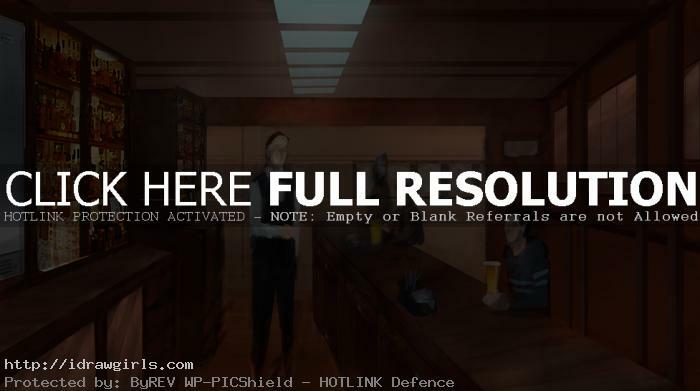 Below are step by step how to paint a bar scene environmental concept tutorial. If you look at the thumbnail, you can already see I separate the vertical and horizontal plain using different values. It is therefore easier to read and to paint over because you already established core planes.